. 1963 ~ The Beatles and The Rolling Stones met for the first time together, at the Crawdaddy Club in Richmond, England. 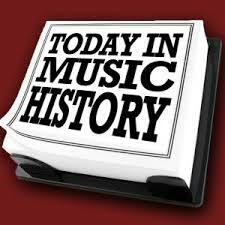 The Stones opened the show.
. 1977 ~ Annie opened on Broadway at the Alvin Theatre. Andrea McArdle was a shining star in the title role. Annie continued on the Great White Way until January 2, 1983.
. 2016 ~ Prince Rogers Nelson died. He was known by the mononym Prince, was an American singer, songwriter, multi-instrumentalist, record producer, and actor. Prince was renowned as an innovator and was widely known for his eclectic work, flamboyant stage presence, and wide vocal range.